Careers advice in schools has been added to the skills minister brief, as part of the machinery of government changes. The Department for Education this morning finally confirmed ministerial responsibilities after taking ownership of the further and higher education budgets last month. The announcement, as part of a ministerial shake up at the DfE, comes almost four weeks after Justine Greening was appointed education secretary – and three weeks after Mr Halfon tweeted that he had been given the apprenticeships and skills brief. 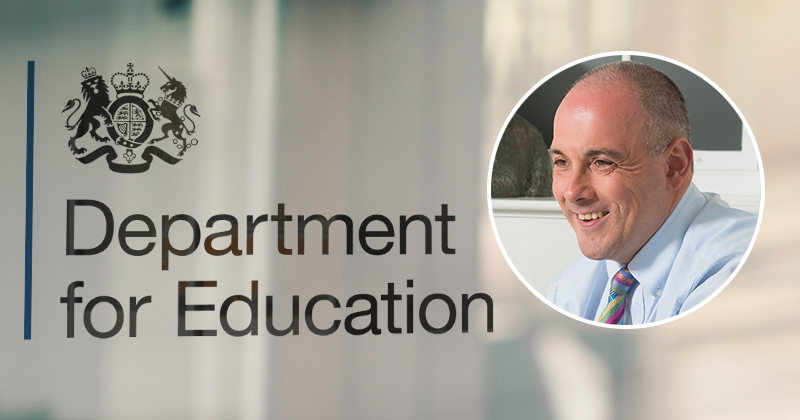 Mr Halfon will lead on careers education and guidance in schools, apprenticeships and the apprenticeship levy, funding for post-16 provision, FE and sixth form colleges and “local patterns of provision”, including area reviews and city deals. And spokesperson for the DfE this afternoon also confirmed that responsibility for adult careers advice and the National Careers Service will also fall to Mr Halfon – meaning that he is now the sole minister responsible for careers advice. Previously the careers duty had been split between former skills minister Nick Boles, who led on adults careers advice and guidance, and Sam Gyimah, former junior minister for childcare and education, who was responsible for careers advice for schools. The announcement of Mr Halfon’s new duties comes a month after a report by the commons sub-committee on education, skills and the economy called for a more coordinated approach to careers provision across government. Mr Boles told the commons sub-committee that having responsibility split in this way “made more sense” because most of his work “does not take place in schools”. The same report also recommended that the government consult on handing over control of the National Careers Service to the new Careers and Enterprise Company. The company was launched last summer to get private firms more involved with guiding school and college students – but the inquiry found concern about the overlap between its role and that of the Skills Funding Agency-run NCS. Confirmation of Mr Halfon’s responsibilities comes as the DfE revealed that the long-awaited apprenticeship levy update would be distributed via press release on Friday. The overdue update had been expected in June, and is one of a number of key FE reports and guidance to have been reportedly delayed due to the recent government upheavals. At last the responsibility for careers guidance and apprenticeships sits under one minister, and one who also cares!